A few dates for your diaries!! These are open to all registered Harriers and we encourage everyone to get involved whatever your ability. 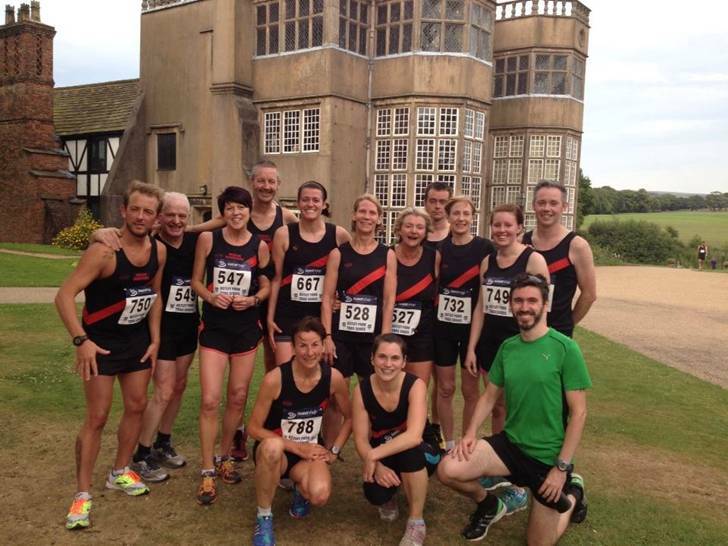 We encourage Harriers to try events organised by other local running clubs. Here’s a selection of more races later in the year at which Harriers will be in attendance during the summer months, for more details speak to Dave Collins, Jayne Taylor or Mike Harris. The attached race details will be from 2017 but most of the information will be still relevant. Chorley Trail Race Series, registration at Baron’s Rest Pub by entrance to Astley Park, Chorley. What you need to know: Good race for all abilities. Two lap course but three times up the hill including the finish in front of Astley Hall. Excellent venue for spectators as plenty of opportunities to watch. Junior race held earlier in the evening. Results and prizes are given out in the pub afterwards. Look carefully and you can see some Harriers! The Harriers contingent a few years ago. Google images of the race and you’ll see plenty of Harriers black and red! What you need to know: Two laps with a flat start with a hill in the middle. 200 metre finishing straight is off road and flat, perfect for practising the perfect sprint finish. Although on road it is very quiet and generally traffic free. Andy Kaufman has managed a podium finish in previous years even though he turned up expecting a trail race. Results and prizes are given out in the club afterwards. We usually manage to enjoy these races once we have caught our breath! Harrock Hill Race, registration at Farmer’s Arms, Bispham. What you need to know: First hill is frantic as it bottlenecks at the top and sometimes the cows try to take part. 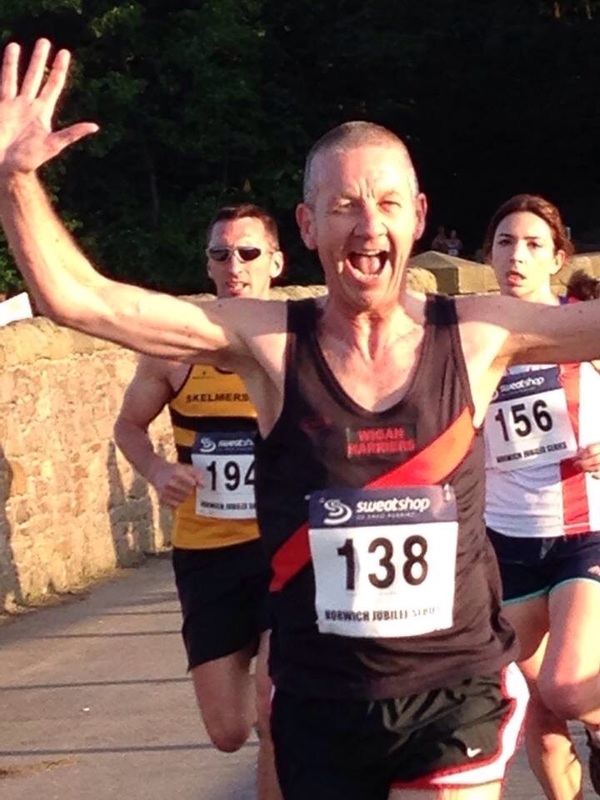 Andy Eccles has fond memories of this race! A great lung bursting blast through the rolling countryside east of Parbold. Results and prizes are given out in the pub afterwards with boxes of fruit and veg as prizes. The infamous “I’ll use a bike” to nail this downhill section!